If you'll peruse our website articles, you'll find many that address foundation settlement issues, including a two-part series on Foundation Settlement in Highly Plastic Clay Soils. (See links to the articles below). Cracks that appear in brick veneer during drought-induced foundation settlement should not be overly alarming (as Foundation Repair contractors suggest). But guess what: You're attitude should be, "So What?" – Because, really, so what if your foundation shifts every time we experience a drought. It's not a big deal. The wood-frame superstructure skeleton that surrounds you, when inside your house, can easily accommodate this differential foundation movement. Unfortunately, the brittle components of house construction---namely concrete block foundations and exterior brick veneer claddings---cannot. They crack whenever the foundation moves differentially. Understand that there is a strong chance that the ground will re-swell and close the cracks, once rainfall starts, winter set's in and the hot days go away. 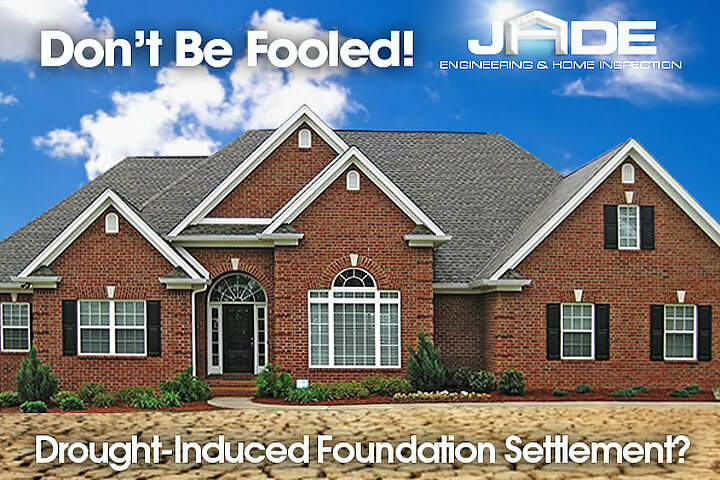 Even if they don't, the minimal amount of drought-induced foundation settlement that usually occurs here in North Alabama does not cause any serious structural consequence to the wood-frame skeleton structure that forms "the house". It is flexible, so even if the feet of this skeleton are moving or shifting due to soil shrinkage from drying, the overlying human body "house skeleton" can care less. But, the brittle construction materials, like exterior brick veneer, cannot stretch and strain without cracking, and THESE CRACKS SCARE PEOPLE TO DEATH! And usually unnecessarily so. Again, don't pay enormous amounts of money to underpin your foundation due to cracks in brick veneer! It's a waste of money. 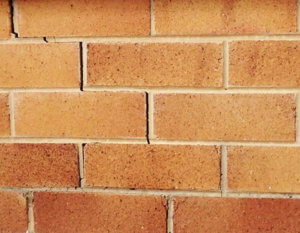 Please contact us and let us explain why or why not your brick cracks should be a concern!